As some of you may know, I cancelled my contract with my publisher for my self-published book Jack's Dreams Come To Life. I've just finished another picture book manuscript, that's making the rounds in my critique group. Once I get the comments back, I will rewrite it and send it out to publishers. It's been awhile since I've written a short story, or anything creative for that matter. But I'm happy to say that I finished a brand new short story titled, "Promises Kept" about my grandfather who passed away 13 years ago this May. I'd like to send some of my stories out to literary magazines to see if I can get them published. Since last February I've been in contact with Mark Vadik, a horror movie writer and director, and he's been helping rewrite and polish a horror script that I wrote titled, "The Driftwood Massacres." I received an email from him a month ago suggesting I now seek an agent for representation in order to try and sell my script. I know how to find a literary agent, but where the heck do I find a screenwriting agent? Then there's the ever present, so-called monkey on my back - my YA novel. I've been in a bit of a rut since February of this year about not finishing the manuscript in time to take it to the San Francisco's Writer's Conference that same month. I've left it alone for a few weeks and have now gone back to it, and am in the process of writing chapter 5. I would like to have a rough draft finished by late summer. Good luck with that I suppose. And, of course, to supplement my income, I still have my freelance writing. So far this year I've been asked to write for three new magazines! Rue Morgue, Tropical Fish Hobbyist and Writer's Journal. Needless to say my plate is full and I'm exhausted, confused and in a panic. My New Year's resolution was to finish something, whether that be my YA novel, find an agent and get something published. I know it's only March, but I'm starting to panic a little. As much as I appreciate my dad giving me a job at his dental office, I really wish my income was coming from my writing. But I guess all writers wish that. Oh well, off to write! 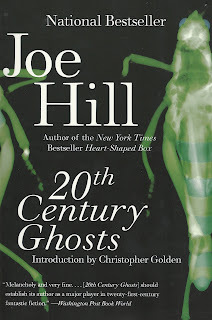 I recently finished 20th Century Ghosts by Joe Hill (Stephen King's son). 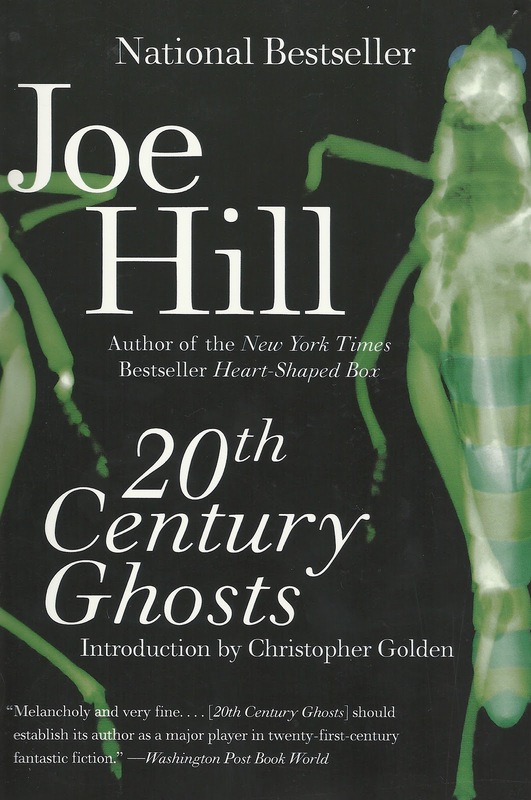 If you're a fan of King, you'll love Joe Hill's collection of short stories. As some of you may know, I had self-published a children's picture book titled, "Jack's Dreams Come To Life" with CreatSpace two years ago. It was my first book ever and my first look into the publishing world. 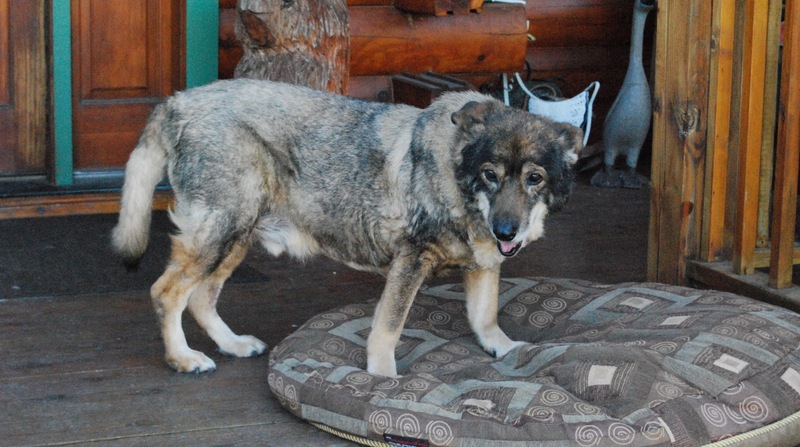 At the time, I wrote the fictional story with my dog Jack as the main character, along with my other two dogs, Sadie and Jeep as secondary characters. On April 15, 2010, it became more than a book, it became a tribute to Jack. For this was the day he died after sharing 17 years of his life with my family and I. Two months ago I made the hard decision to split company with CreateSpace and cancelled my contract with them. Despite my efforts and money spent on promoting my book, it sold very few copies; despite having had great reviews. I know that what killed the eventual sales of my book was that it was priced at $12.99 for a 24-page paperback picture book on www.amazon.com. The age range was wrong also, listing the book for 9-12 year olds! I asked repeatedly that this be changed and everytime was assured that it was. I realize that when self-publishing you get a bigger percentage of the royalties and that's great for maybe a novel or some other book of great length. But I know that people balked at paying $12.99 for a picture book + S&H. Now I am in the process of rewriting the original manuscript into a much more different story. My plan is to find another publisher and home for Jack and his adventures. I am still working on my YA novel, "Blood Pressure" and hope to have a rough draft finished by July. I will keep you updated on my writing ventures and journey to finding a new publisher.